The story of two very different and yet intimately linked American families. Luther Dunphy is an ardent Evangelical who envisions himself as acting out God’s will when he assassinates an abortion provider in his small Ohio town while Augustus Voorhees, the idealistic but self-regarding doctor who is killed, leaves behind a wife and children scarred and embittered by grief. As the Republican Congress plots to cripple Planned Parenthood and the right to choose hinges on one vacant Supreme Court seat, American Martyrs probes all the wounds of our abortion debate. Indeed, it’s the most relevant book of Oates’s half-century-long career, a powerful reminder that fiction can be as timely as this morning’s tweets but infinitely more illuminating. 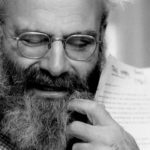 For as often as we hear that some novel about a wealthy New Yorker suffering ennui is a story about 'how we live now,' here is a novel that actually fulfills that promise, a story whose grasp is so wide and whose empathy is so boundless that it provides an ultrasound of the contemporary American soul ... They are American families so separated by opportunity and ideology that they could be living in different countries, but Oates’s sympathetic attention to the dimensions of their lives renders both with moving clarity ... Oates has mastered an extraordinary form commensurate to her story’s breadth. The book is written in a structure fluid enough to move back and forth in time, to shift from first to third person without warning, sometimes breaking into italics as though this febrile text couldn’t contain the fervency of these words ... To enter this masterpiece is to be captivated by the paradox of that tragic courage and to become invested in Oates’s search for some semblance of atonement, secular or divine. A Book of American Martyrs manages to cover several of our greatest hits of political controversy: not only abortion but also capital punishment, terrorism, religion, the 1st Amendment, the 2nd Amendment. Whatever your poison, this book will have something to get your blood roiling ... Oates, at least, is there for these fictional children. A Book of American Martyrs belongs to them — Naomi and Luther’s older daughter Dawn in particular — following their lives as they reckon with the assassination and its consequences over the next 12 years. These are the daughters of men fighting over women’s rights, left behind by their fathers. It seems just that they get a voice ... A Book of American Martyrs is successful because she refuses to satirize or dehumanize anyone, even murderous foes of abortion. She spends more than 100 pages in Luther’s voice, and repugnant as he is, he has the full weight of a rich, complicated character, totally seen and understood by his author. That same immersive empathy extends to all the major characters, with wonderful results ... This is a hard book to get through, even discounting its length; it’s painful and demanding and sometimes nihilistic, not exactly chicken soup for the ailing American soul. But with its wrath and violence, A Book of American Martyrs offers this teaspoon of warmth in these troubled times: that it is possible to be wrong without surrendering your humanity. America’s abortion war contains treacherous depths, and to Oates’s credit her book seeks to plumb them. How, it asks, might we humanize extreme ideological positions? How might we subvert the divisiveness that so troubles the debate? ... The shifting kaleidoscope of voices is at once illuminating and dizzying. Oates may be betting the multitude of perspectives will help us see around our blinders and prejudices about the Other. The question is, who is the Other, and according to whom? In some respects, Oates’s bet pays off ... Oates’s observations about Dawn’s psychic relationship to other women and her rumination on female masculinity and athleticism are so dazzling they warrant their own novel ... Yet the novel affords such breadth and discernment only to the educated, middle-class Voorhees clan. Despite their suffering, the Voorheeses are intelligent, thoughtful people with some degree of agency. At the opposite end of the class (and ideological) divide, the Dunphys’ grim lives are defined almost exclusively by lack, victimhood and ignorance. The novel seems to dislike these people intensely, and characterizes them accordingly. 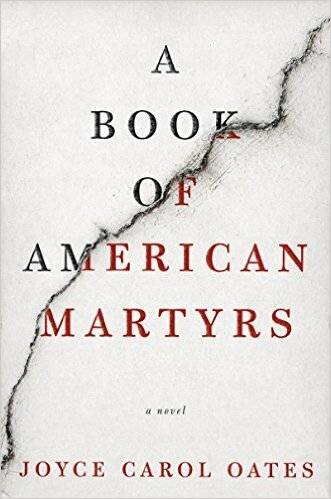 What did you think of A Book of American Martyrs?